An e-fit has been released of a man we would like to speak to in connection with an attempted burglary in Shepperton last month. Officers were called around 3pm on 23 January to a property in Halliford Road following reports that a man had been seen outside the property and another man had been seen to go into the back garden. The man outside was challenged by a concerned member of the public and he walked off towards Highfield Road. The suspect in the back garden escaped over the fence before going onto Highfield Road. It is believed he was attempting to break into the property and had smashed a window at the rear of the property but had not managed to gain entry. Both suspects then walked towards Minsterly Avenue and were then seen getting into a silver people carrier. 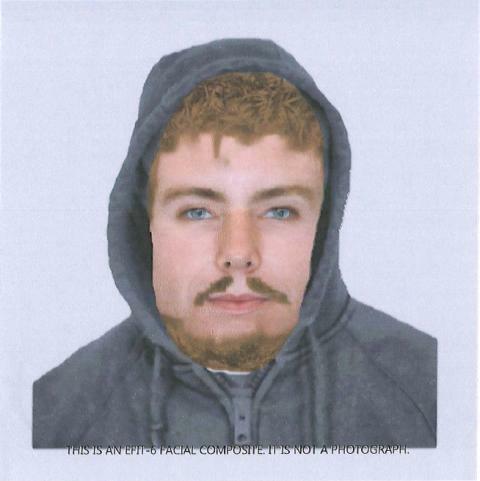 If you recognise the man in this e-fit, please call Surrey Police on 101 (999 in emergency), or tell us online via or http://surrey.police.uk/TellUsMore quoting reference PR/45190008117.